Snowing today. They’re saying up to 10 inches. A good day to catch up on some stuff inside. So perhaps a couple more images on the blog today, starting now. The same day I photographed the “Ghostly Geese”, I worked my way into downtown Martinsburg. Most of the time the fog in the countryside does not hold up in town. 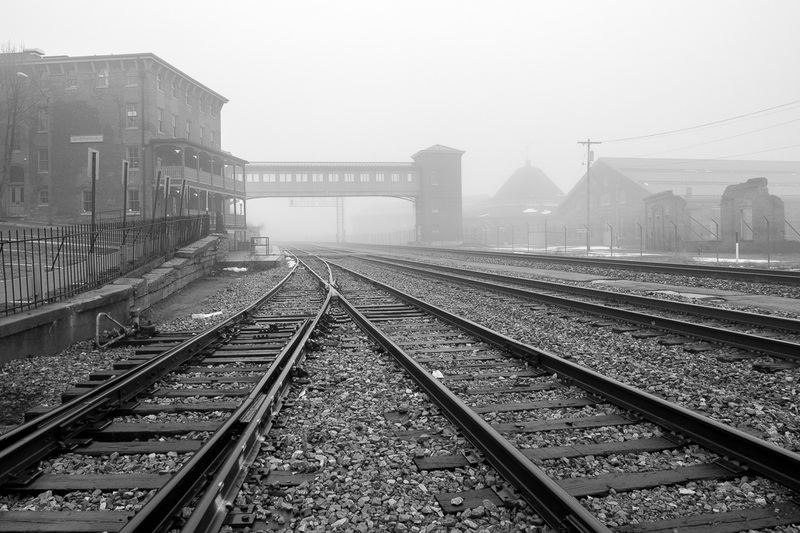 But on this day the fog persisted right into the middle of town and around the train station and B&O Roundhouse.